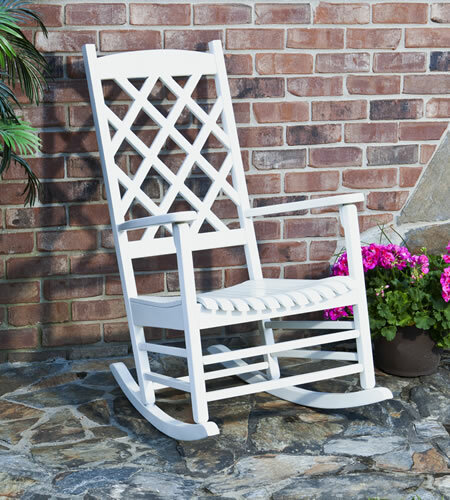 Come relax and enjoy life in our Deluxe Cambridge Rocker. Designed for a covered porch or patio. 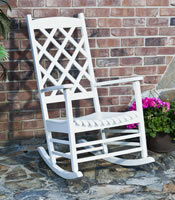 With its contoured seat and extra long runners for a smooth and soothing rocking, you are sure to fall in love with it. Easy to clean durable finish with Polyurethane top coat for weather resistance.